THE FOLLOWING TERMS AND CONDITIONS GOVERN YOUR USE OF THIS WEB SITE. PLEASE READ THE FOLLOWING TERMS AND CONDITIONS CAREFULLY BEFORE ACCESSING THIS WEB SITE. IF YOU DO NOT AGREE WITH THESE TERMS AND CONDITIONS, YOU ARE NOT GRANTED PERMISSION BY THE NEVADA CAMERA CLUB TO ACCESS OR OTHERWISE USE THIS WEB SITE. BY PROCEEDING TO ACCESS THIS WEB SITE, YOU ACCEPT AND AGREE TO BE LEGALLY BOUND BY THESE TERMS. 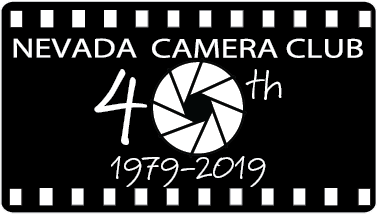 This User Agreement applies to and is provided on behalf of the Nevada Camera Club family of companies (collectively referred to as “We,” “Us,” or “Our”). This Agreement contains the terms, covenants, conditions, and provisions (the Terms and Conditions) upon which you (the User, You or Your) may access and use this web site (also referred to as the Site). All material contained on this Site is protected by law, including but not limited to, United States trademark and copyright law, as well as state, national, and international laws and regulations. We own a copyright in the Site as a collective work and/or compilation, and in the selection, arrangement, enhancement, and coordination of the content on this Site. Unless otherwise indicated, all content on the Site is copyrighted by Us, with all rights reserved. By virtue of submitting an entry, the entrant certifies the work as his/her own and permits the Nevada Camera Club to reproduce all or part of the entered images or submitted images free of charge for publication and/or display in media related to the competition and/or to be posted on the NCC web site. Such permit to reproduce or publish may include low resolution or watermarked images on the NCC web site as well as matted prints for display. The Nevada Camera Club, while exerting due diligence to ensure image protection, assumes no liability for any misuse of copyright whether images are shown in a public venue or on the web site. For bi-monthly digital competitions, the maker also has the full and expressed right to choose to not have his or her images uploaded to the web site or published in the Focal Expressions newsletter. The maker always retains all copyright protection for his or her images and neither yields nor conveys any of his or her intellectual property rights to the Nevada Camera Club, its Officers, the Executive Board acting individually or as a collective, or the general membership. Reproduction or distribution of any copyrighted content without expressed permission is a violation of U.S. Copyright law and could result in an investigation by the FBI. A conviction of same is punishable by up to 5 years in federal prison and a fine of $250,000. A photo gallery may be provided to Our Subscribers. If so, the photo gallery services are provided “as is” and can be modified or discontinued by Us at any time without notice or liability to any user or third party. Individual images or entire galleries may be removed without prior notice. All submissions to the photo gallery must comply with the terms of this User Agreement. Restrict or inhibit any other user from using and enjoying the Site. This includes, without limitation: (a) using, or attempting to use, any account without the User’s permission, (b) obtaining or soliciting another User’s password or other personal information under false pretenses, or (c) impersonating another User or otherwise misrepresenting Yourself to Us, the Site’s systems, or other entities. Use the Site to post, store, or transmit materials in violation of another party’s copyright or other intellectual property rights. You are solely responsible for determining whether any material You post, store, or transmit is subject to a third party’s rights. Misuse any email information available on or through the Site. This includes, without limitation, sending unsolicited commercial email to any User, bulk emails, spam, chain letters, mail bombs, or other disruptive transmissions. Use of this Site is entirely at Your own risk and is subject to all applicable state, national and international laws and regulations. ALL MATERIALS ON THIS SITE ARE PROVIDED AS IS WITHOUT WARRANTY OF ANY KIND, EITHER EXPRESS OR IMPLIED, INCLUDING BUT NOT LIMITED TO THE IMPLIED WARRANTIES OF MERCHANTABILITY, FITNESS FOR A PARTICULAR PURPOSE, TITLE OR NON?INFRINGEMENT. Please note that some jurisdictions may not allow the exclusion of implied warranties, so some of the above exclusions may not apply to You. The validity, construction, and performance of these Terms and Conditions shall be construed in accordance with the laws of the State of Nevada. Any disputes arising in connection with these Terms and Conditions shall be resolved by binding arbitration in the State of Nevada by a single arbitrator under the Commercial Arbitration Rules of the American Arbitration Association. The award shall be enforceable in any court having jurisdiction thereof. Exclusive venue for such arbitration shall be in Clark County, Nevada. The Site is controlled and operated by Us from Our offices within the United States. We make no representation that materials on the Site are appropriate or available for use in other locations, and access to them from territories where any of the contents of this Site are illegal is prohibited. If You choose to access this Site from other locations, You do so on Your own volition and are responsible for compliance with any applicable local laws.